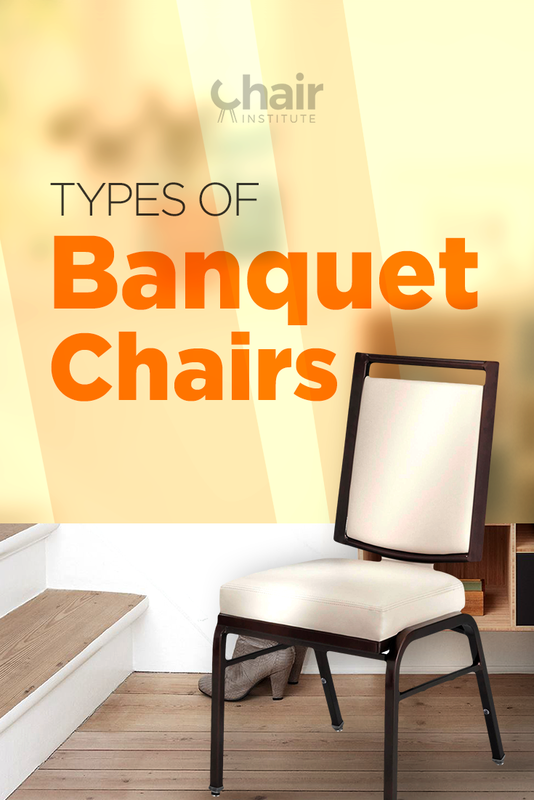 What Is a Banquet Chair? Banquet chairs are most frequently used in short-duration events: banquets, meetings, town halls, and the like. Because these events don’t last very long and can be held in a multitude of venues, banquet chairs are seen as an ideal solution because they can be set up quickly just about anywhere. Note that these chairs are not designed to be used for several hours at a time. If you try to use this type of chair at your computer desk, and spend the better part of the day sitting in it, you’re almost certain to experience back pain. That way, dozens or even hundreds of these chairs can be stored in a relatively small space when not in use, and can be pulled out and set up quickly when and as needed. The fact that these chairs do not have and were never designed with armrests makes designing for mass storage a much simpler proposition. ​​​​And among folding chairs, you can find wood, metal or plastic variants. The modern banquet chair is an evolution of the Chiavari chair, developed in 1807 by an Italian cabinetmaker from the city of Chiavari named Giuseppe Gaetano Descalzi. Descalzi was presented with a challenge from one of his patrons, the Marquis Stefano Rivarola, who had purchased an extravagant Empire Chair from Paris, and wanted a lighter, simpler version of the seat, crafted with less expensive materials and containing fewer embellishments that was robust enough for semi-regular use. In other words, he wanted a simple, functional seating option. Chiavari set to work and presented his design later that year. It was an immediate success, and in the intervening years, an entire industry grew up around mass producing his new type of seating for various Courts, all over Europe. In fact, in 1982, a pair of Chiavari Chairs were gifted to Pope Leo XIII! Initially, these chairs were made entirely of wood (mostly wild cherry, beech, and ash), but with the dawning of the industrial revolution and the development of modern materials, that began to change.